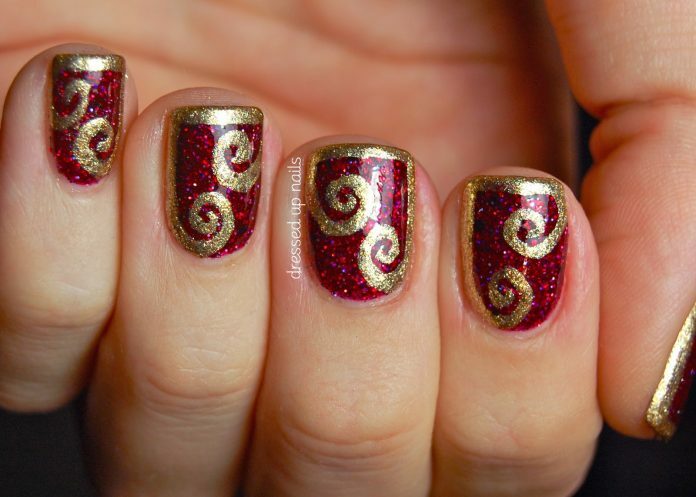 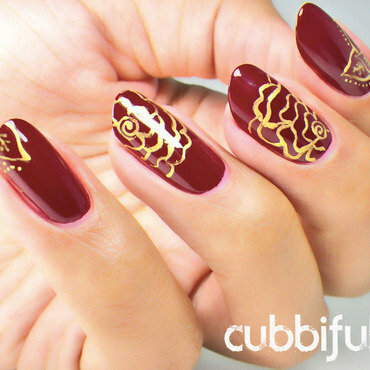 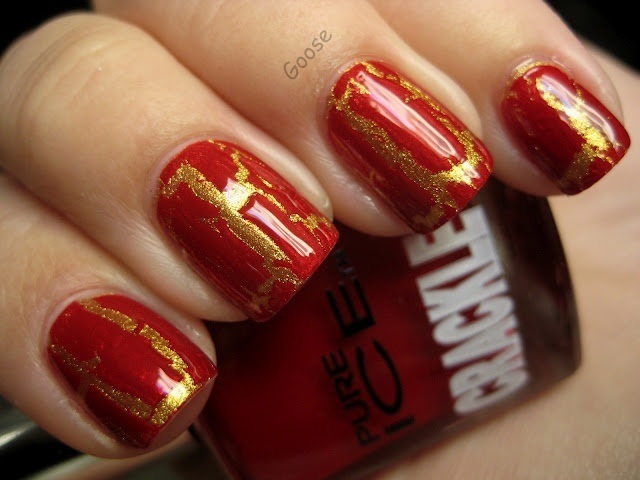 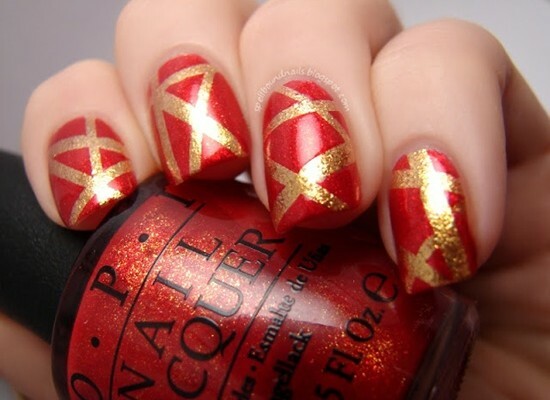 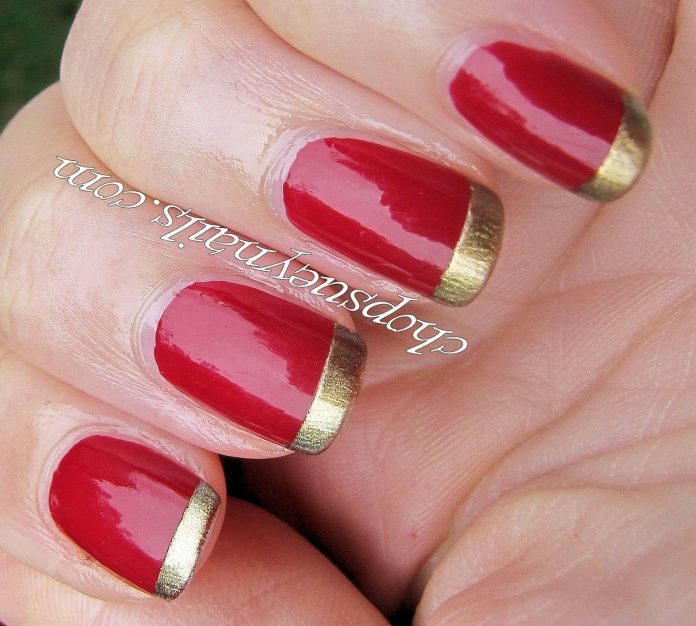 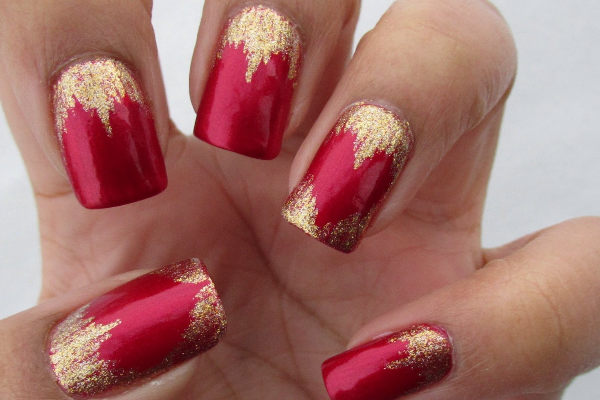 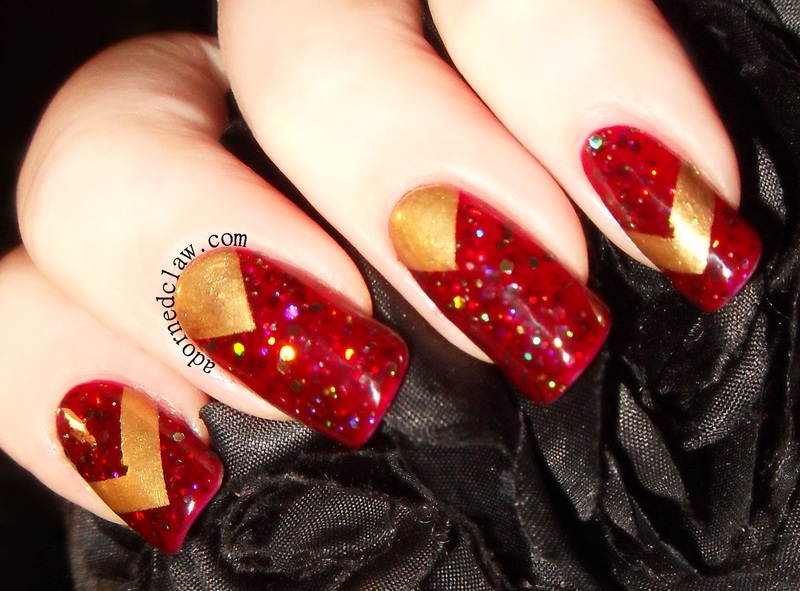 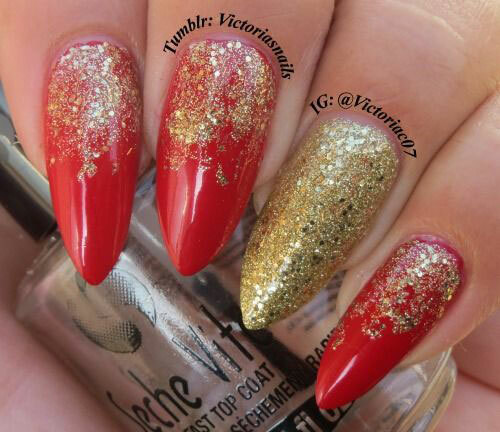 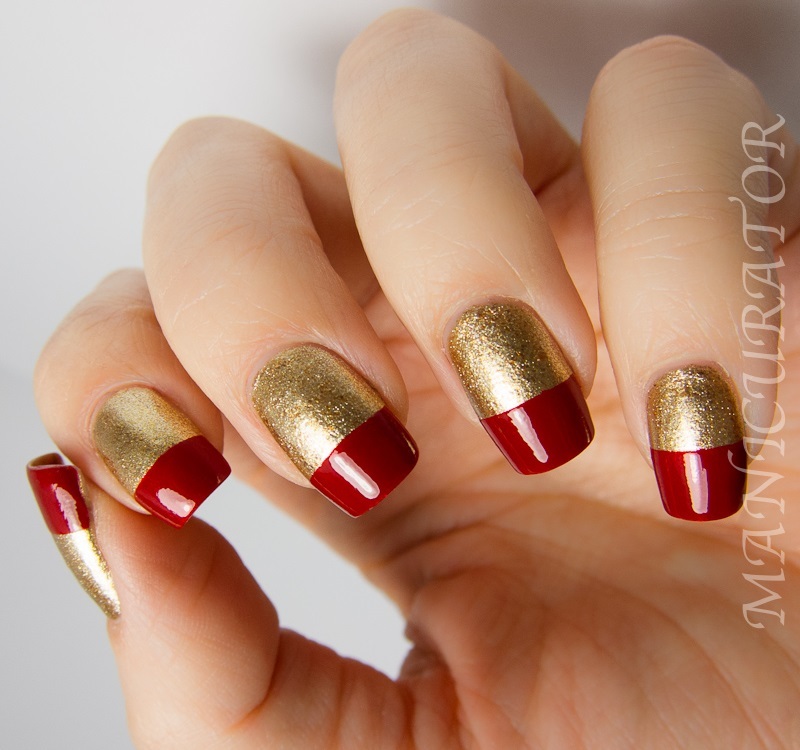 If you liked our black and red nail designs from before, then you’ll also love our new fierce combination — Red and Gold nails. 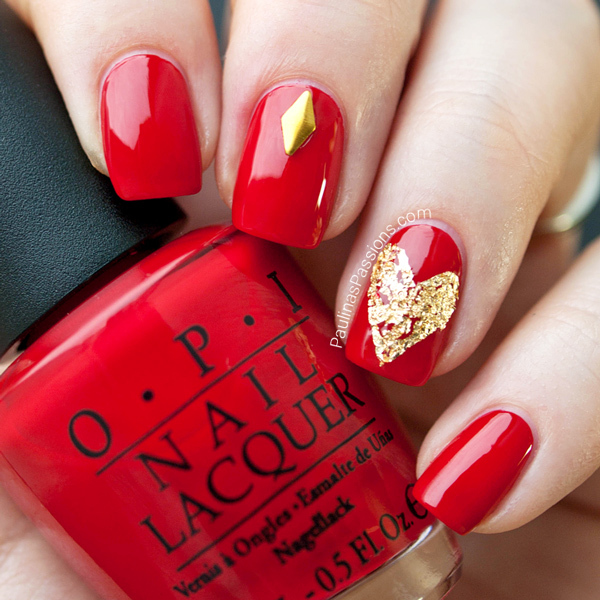 This color combination is not for the faint of heart. 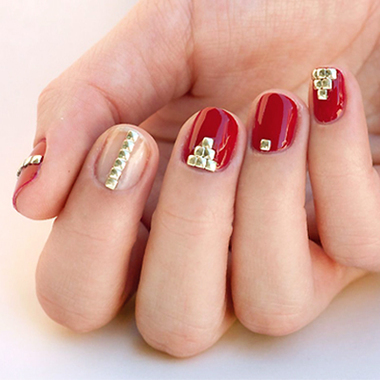 You have to be sassy, confident, and very womanly to pull off this extravagant combination. 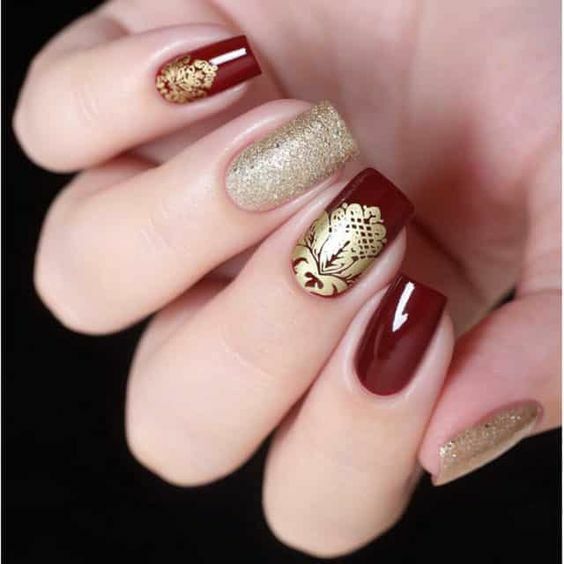 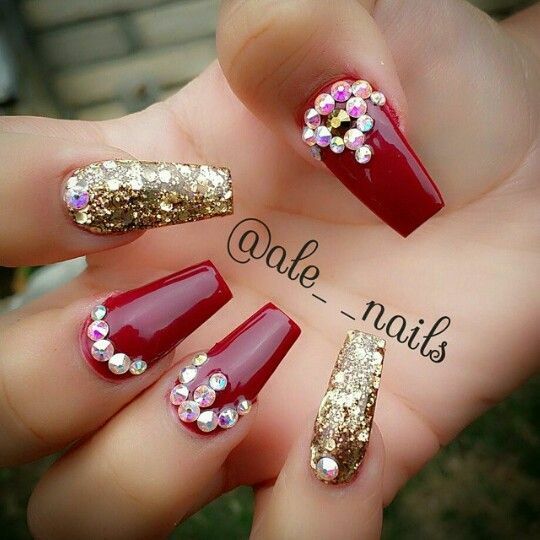 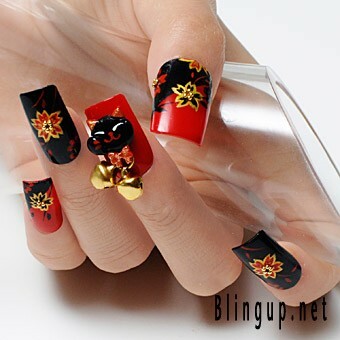 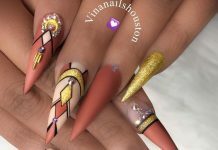 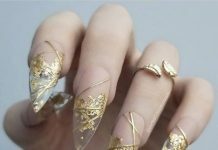 If black and red nails are somewhat edgy, and white and gold nails are high fashion, red and gold nails in the meantime evoke old world elegance and flamboyance. 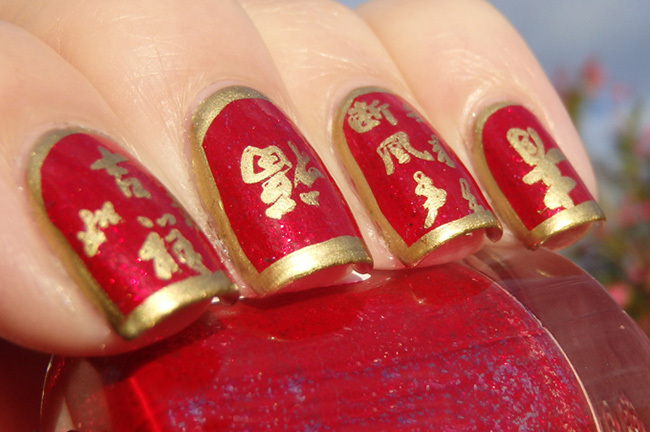 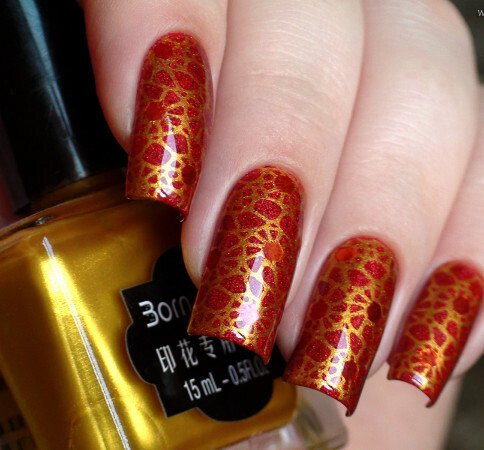 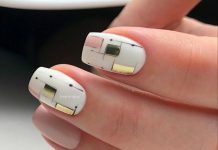 Be ready to catch people’s attention if you’re wearing this dangerous combination on your nails. 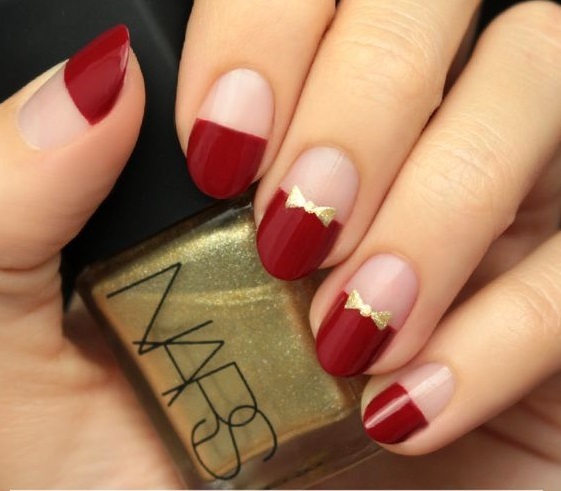 For this combo, you can use gel or acrylic nail polish. 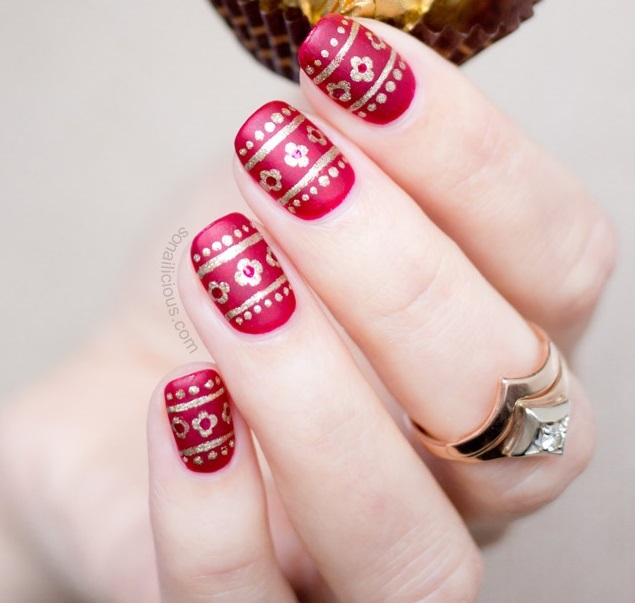 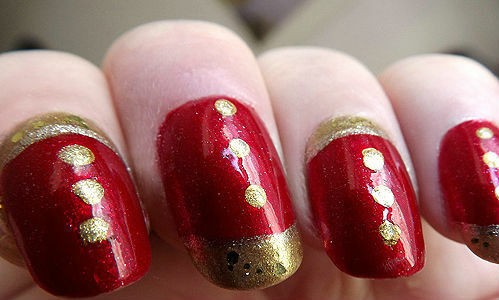 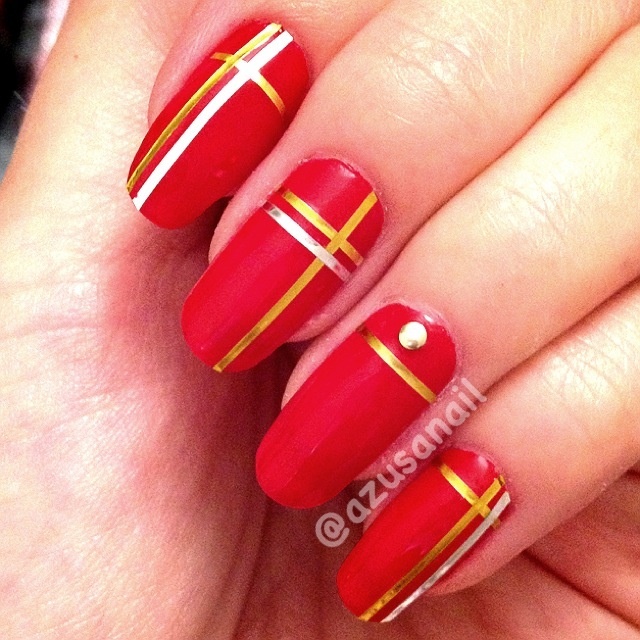 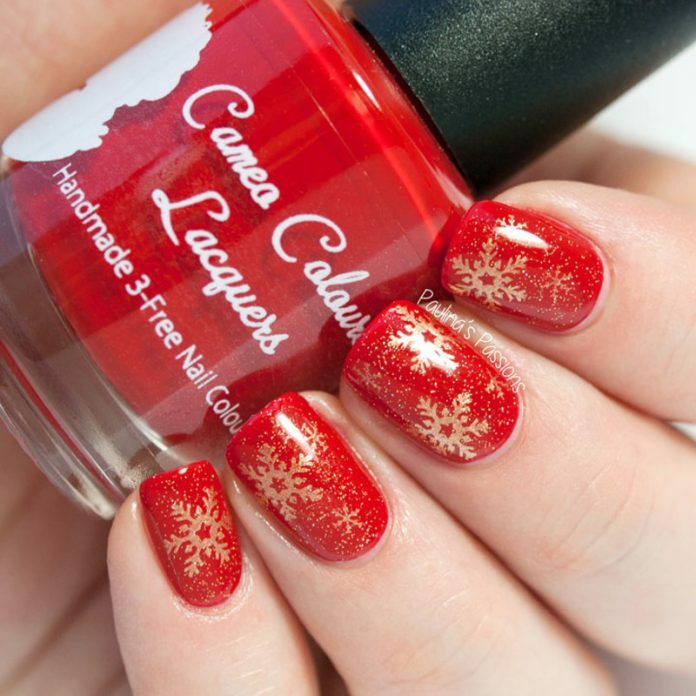 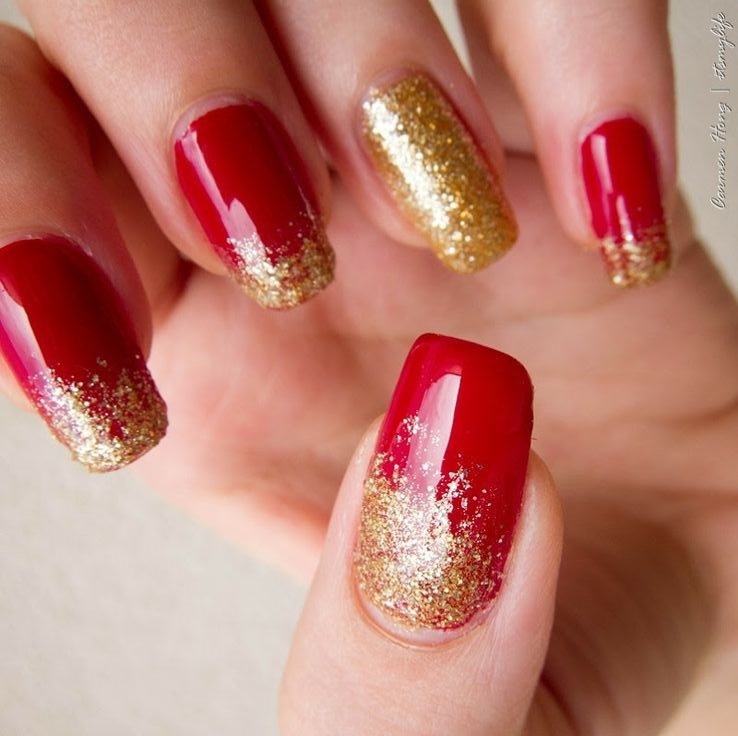 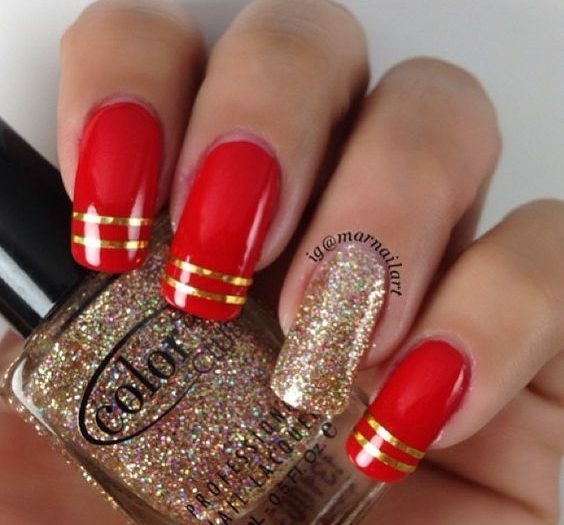 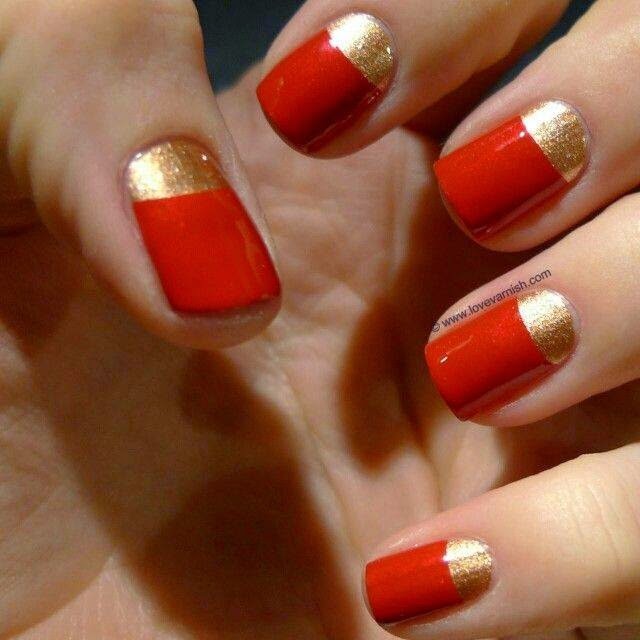 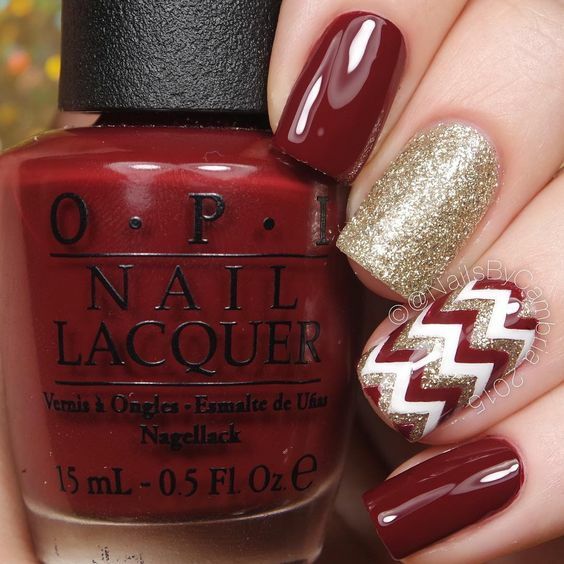 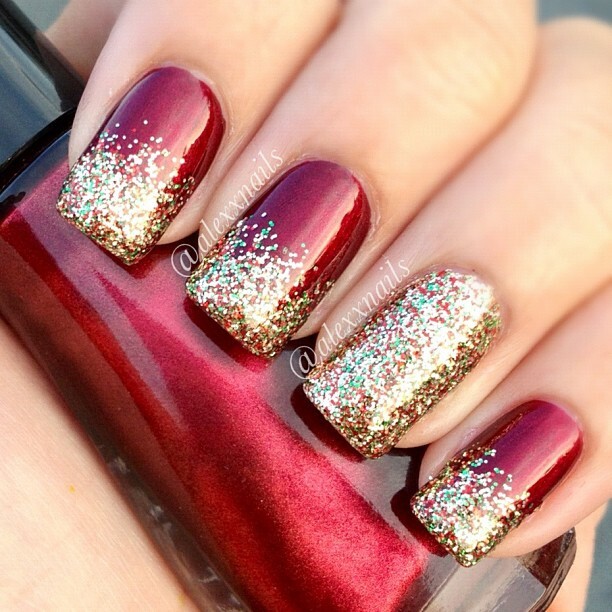 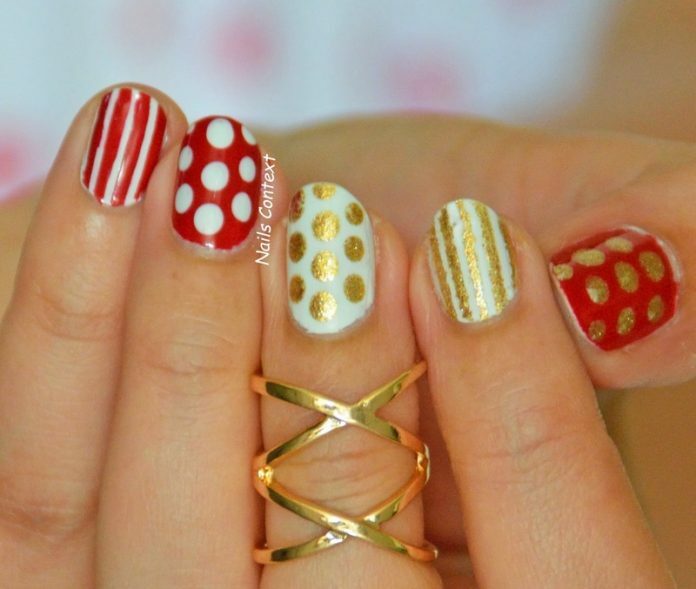 You can use deep red or bright red nail colors. 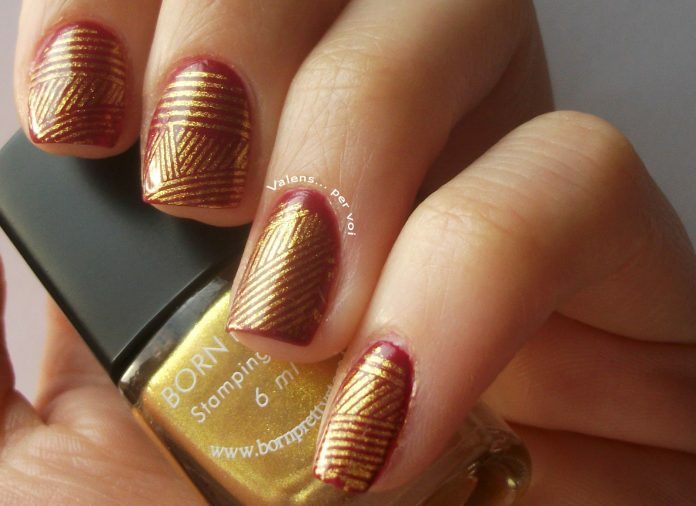 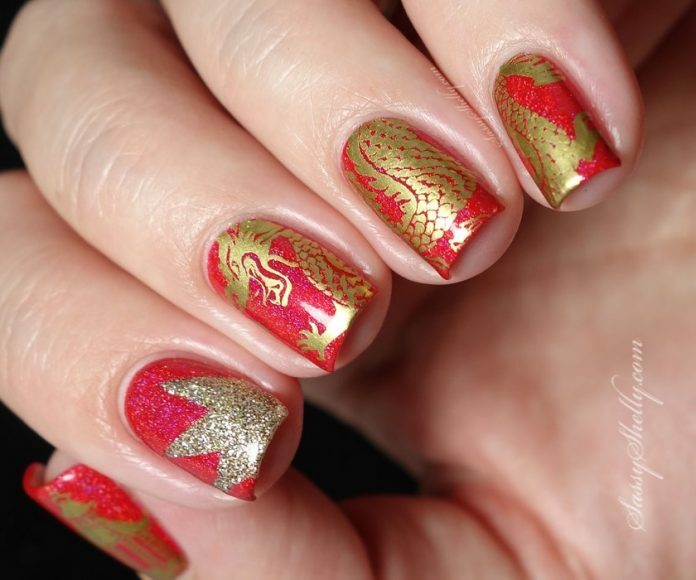 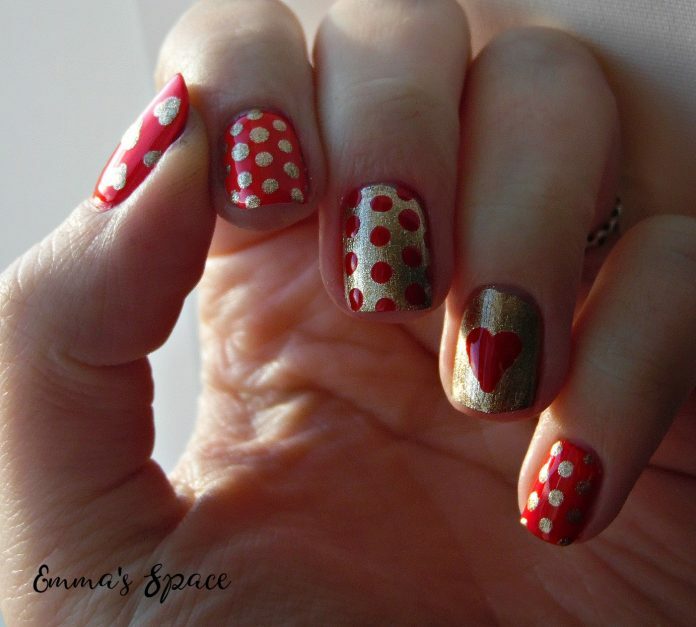 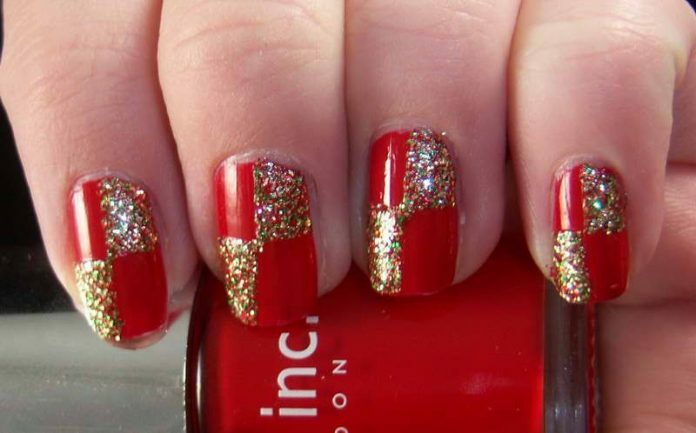 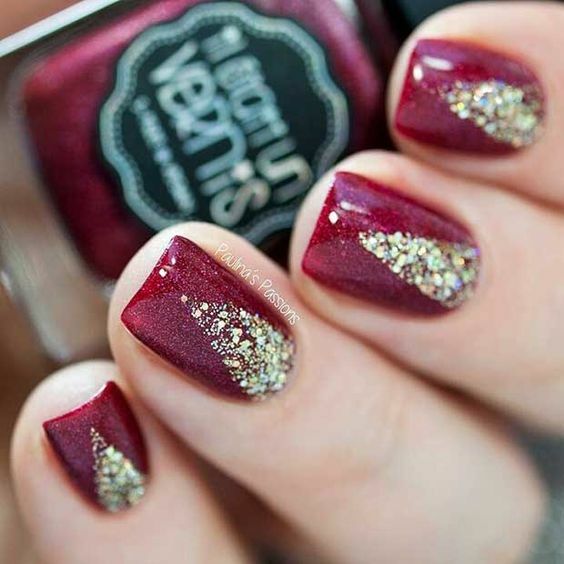 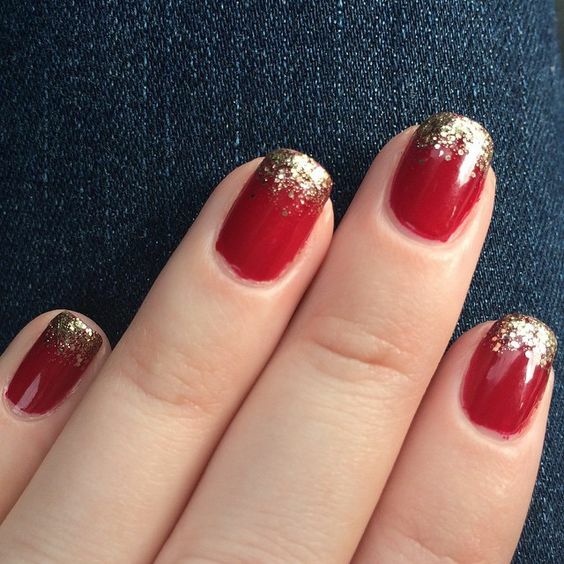 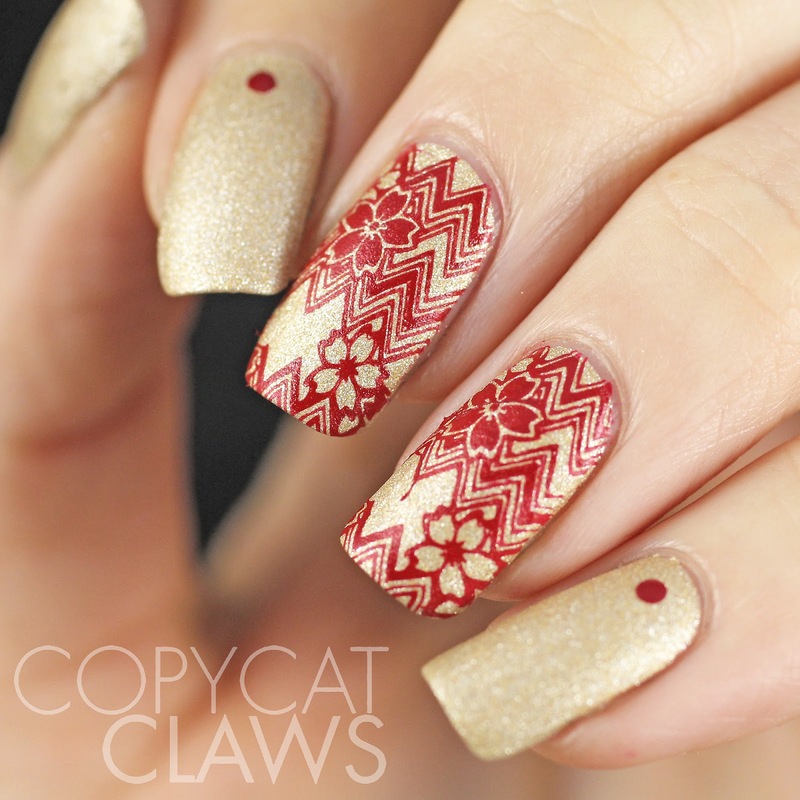 You can even add more flair by using gold glitter or flakes. 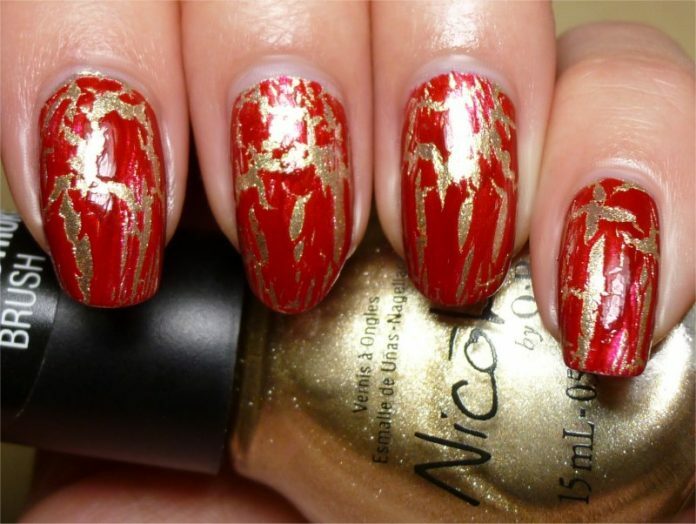 Check out our designs below for inspiration.